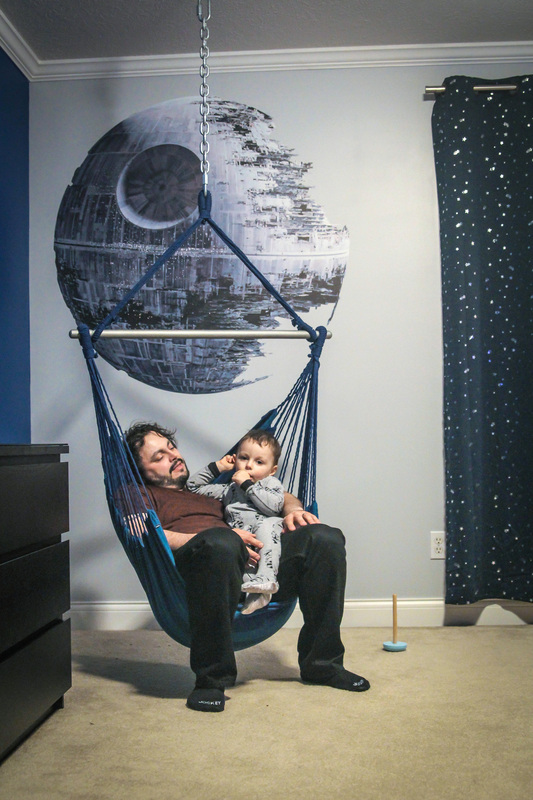 We moved to a new house last summer and I got to work coming up with ideas for the kids rooms. 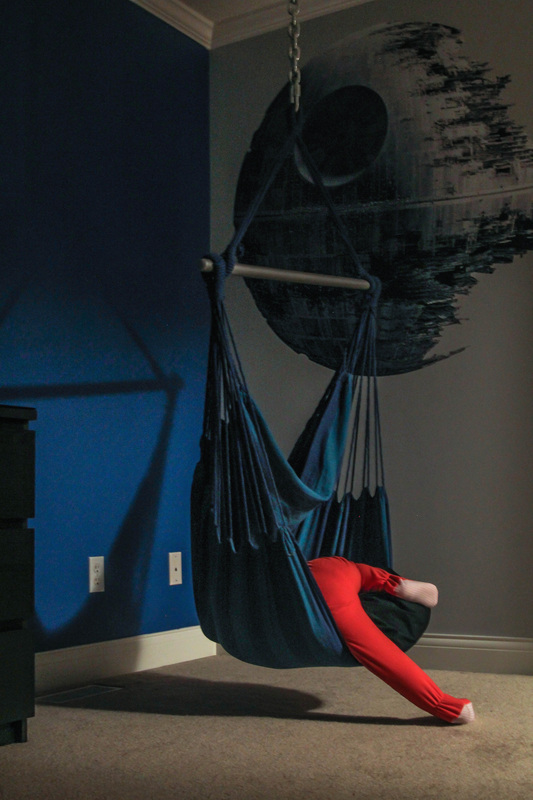 My 3 year old got a Star Wars themed room complete with a swing, R2D2 comforter, “May The Force Be With You” and Death Star vinyl decals, light saber night lights, a Star Wars ABC poster, and star blackout curtains. My husband is insanely jealous. I purchased this hammock swing and modified it slightly by dying it a darker blue with Rit liquid fabric dye and I spray painted the unfinished wooden rod silver. Hanging it was tricky. I thought briefly about doing it myself, but ended up calling Mr. Handyman to do it. Mr. Handyman climbed up into our attic, located a rafter or stud (or something) and drilled a very heavy duty hook into it. I used two heavy duty quick links and a few feet of chain to tie everything together. My little guy loves his swing and sometimes I find him sleeping in it when he’s supposed to be in bed.